The Rapiscan Systems Classic is the only PGA TOUR Champions event in the state of Mississippi. 78 of golf’s best tee it up to compete for the Anthony Topazi trophy. Past champions include; Miguel Angel Jimenez, Jeff Maggert, Tom Lehman, Fred Couples and Steve Stricker. 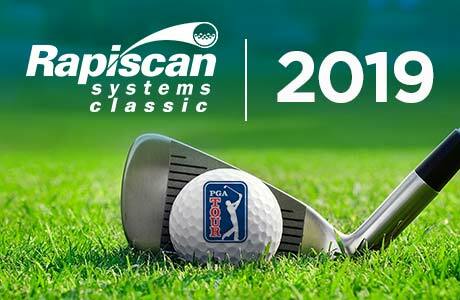 The Rapiscan Systems Classic is proud to sponsor Birdies for Charity, a fund-raising program designed to give participating charities the opportunity to generate contributions for their organization based on the number of “birdies” made by PGA TOUR Champions players during the 2019 Rapiscan Systems Classic. Participating charities receive every single penny of generated donations! Additionally, each donor has a chance to win great prizes (and one GRAND prize) when pitching in to help the soliciting charity! More information can be found here.